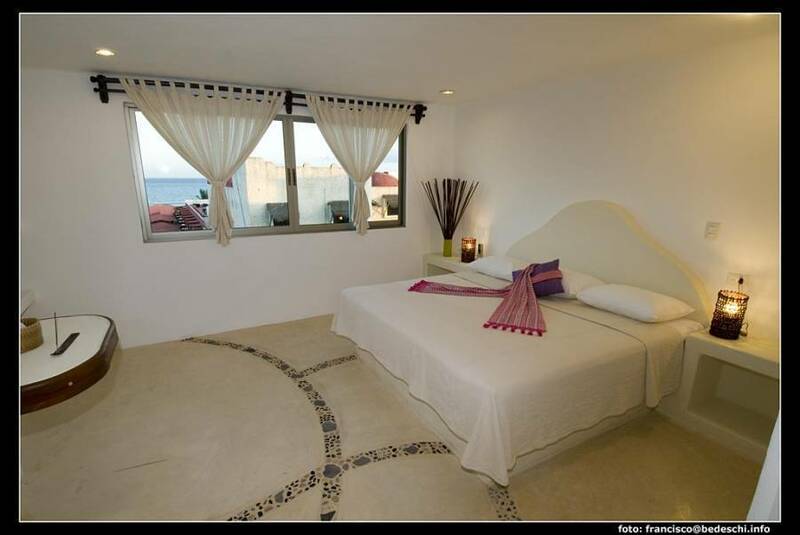 Beautiful ocean view apartments with hotel service with excelent location: half a block from the beach and one block from the Quinta Avenida. 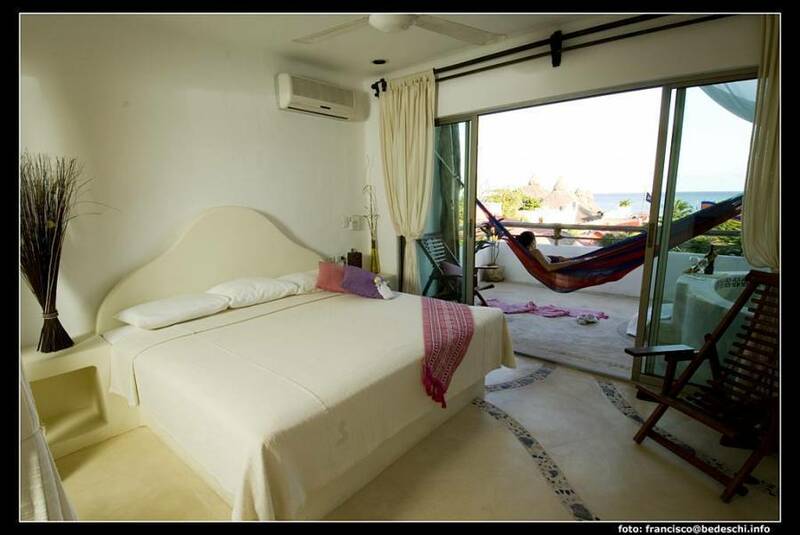 Our 8 apartments combine the comfort and privacy of your own home with the luxury of a boutique hotel service. 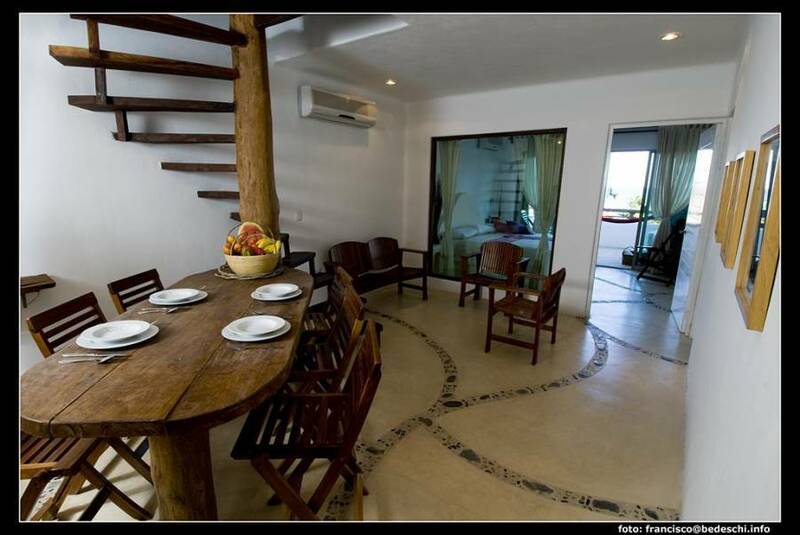 These serviced appartments are 30 meters from the beach and the restaurants, night clubs, shops, and are an excellent starting point to excursions along the Mayan Riviera. We assist you in planning and reserving excursions. 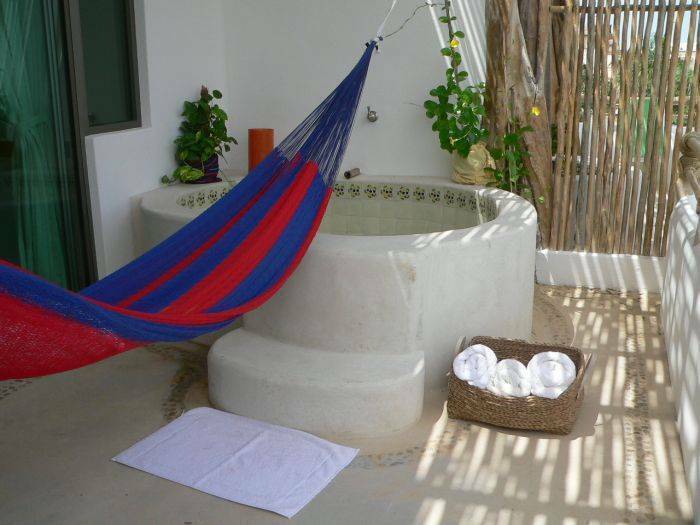 Each apartment has a spacious private terrace with a large hand made hot tub, a perfect place to relax and share a drink after a day at the beach. Our rooftop solarium with ocean view and pool is a wonderful place to get together. 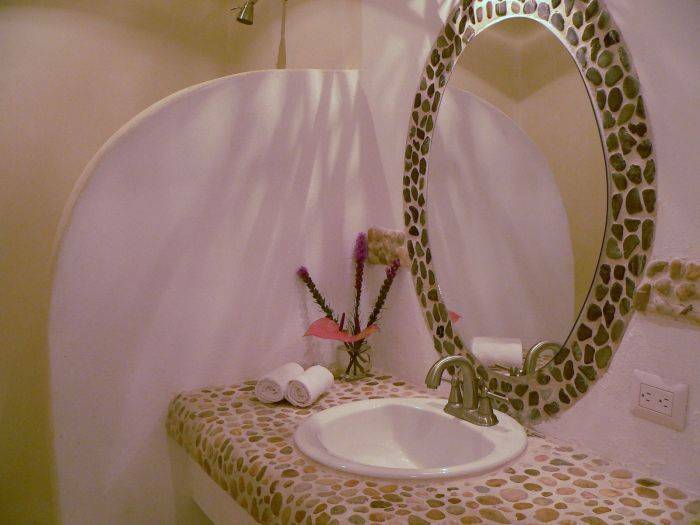 You will also find suggestions on books and magazines to deepen your knowledge of the region and the Mayan culture, as well as information of the many possibilities of things to do during your stay. Should you need anything, the person who will meet you upon arrival will be available in the reception office or via phone. She will be happy to provide you with more information on excursions, sightseeing, practical matters, etc. On the top of the building, we have a solarium with lounge pool and a beautiful ocean view where you can work on your tan or watch the sunset after a wonderful day. 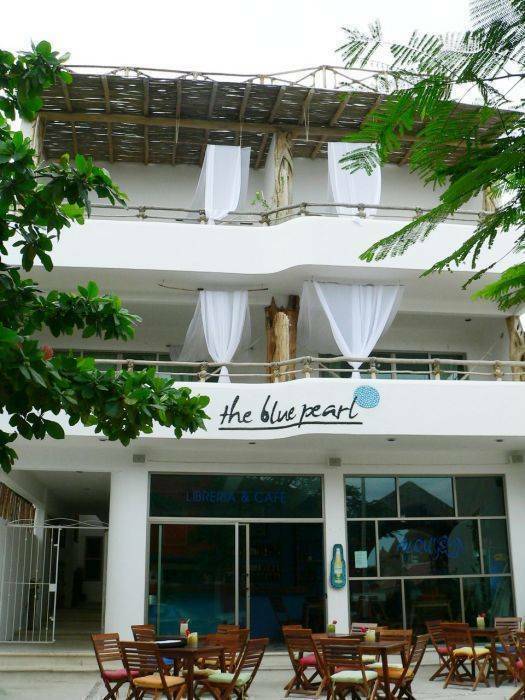 The Blue Pearl Suites is downtown Playa del Carmen, near the beach and the wonderful 5a Avenida, a pedestrian street full of restaurants, commerces and incredible night life. The Glass Bar. Fine Italian And International Cuisine. Sensei. Japanese cuisine on the beach. La Palapa Hemingway. Mexican And International Cuisine, Very Creative. Starbucks. Coffee, cakes and breads. Haagen das. Ice cream parlor. 100% Natural. Vegetarian Dishes, Juice Bar. The Tequila Barrel. Great bar for martinis, sandwiches, breakfast. The Hot Baking Company. Sandwiches, Bagels, Freshly Baked Breads. If cancelled up to 30 days before date of arrival, 50% of the total will be charged. If cancelled less than 30 days before date of arrival, 100% percent of all nights will be charged. Take the highway to Playa del Carmen (opposite direction to Cancun). In about 40 min you will be reaching Playa del Carmen. Take a left turn at the Constituyentes street. Go down that street, direction to the beach. You will go past a crossroad with a big Olmeca head, then past the 5a avenida and the next street is the 1a avenida norte. There you take a right turn, you drive for three more blocks and you will find the Blue Pearl Suites on your right side. Bus, taxi, van, private trasnfer reserved at the Hotel. Nearest airport: Cancun international (80 km).